IBEC’s Strategic Plans define and establish measures to tackle the main strategic challenges for the institution from the basis of the analysis of our strengths and weaknesses. They are drawn up within the organization on the basis of a clear overview of what our stakeholders (scientists, business, authorities and society as a whole) need and expect. They are tools for the development and consolidation of IBEC as a top-class research centre. The basic goal of IBEC is to pursue excellent research on the frontiers of knowledge that contributes to enhanced quality of life and health and creates wealth in society. In turn, the IBEC model is based on transformative interaction between scientific disciplines and technologies which are apparently separate from one another in order to create added value with the aim of finding engineering-led leading-edge solutions in health and life sciences. Because of its background and its own capabilities, the institute has the versatility both to generate excellent research and at the same time to cooperate with the authorities and with industry on the development of new systems for diagnosis or treatment. The IBEC Strategic Plan 2018-2020 does not involve standing still. It is an ambitious new challenge in IBEC’s development, and a milestone in its international projection and growth. IBEC has its own way of doing science, and in the coming years its goal is to realise its full potential on the basis of the Catalan ecosystem of science and innovation from which it springs, but seeking a global reach. The Strategic Plan 2018-2020 has a clear objective: to help construct the medicine of the 21st century at IBEC, which will ensure a healthy life and foster universal well-being to achieve better quality of life for people. IBEC sets out to use its scientific and technological ability to contribute to the development of this 21st-century medicine based on bioengineering capable of designing and analysing biological systems and developing new biomedical technologies. • Talent as a stand-out factor. • The ability to anticipate the development of scientific research. • Fundraising to remain one of the most important bioengineering centres in the world. To increase IBEC’s ability to make scientific results valuable and transfer them to patients and to society in general, through an open innovation model and by setting up an innovation and translation committee to encourage a framework for relations with companies in the biotech, medtech and pharmaceutical industries. To internationalise IBEC’s activities by forging alliances and/or opening sites in the world’s highest-performing ecosystems in terms of engineering and biomedicine, to gain direct access to the primary institutional and business decision-makers in the sector. To implement IBEC’s own “researcher-centric” management model that allows researchers to be supported with a range of services so that they can concentrate on their scientific work, complemented by a commitment to managing agility, so boosting the performance of IBEC as a whole. 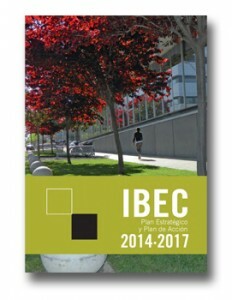 The IBEC Strategy and Action Plan 2014-2017 is organised in terms of Strategic Goals, Operational Targets and Actions, accompanied by their respective management and results indicators to allow them to be monitored and assure their targets are met, thus fulfilling the centre’s vision and mission. SG1. To consolidate top-class science which enables IBEC to strengthen its international position by focusing its core activity on three areas of application: “Bioengineering for Regenerative Therapies”, “Bioengineering for Future Medicine” and “Bioengineering for Active Ageing”. SG2. To develop technology and applications thereof that help to improve business competitiveness and the quality of hospital services. SG3. To run a distinctive specialist training programme to attract international talent. SG4. To develop a culture of excellence in management, self-sustainability and management by objectives. 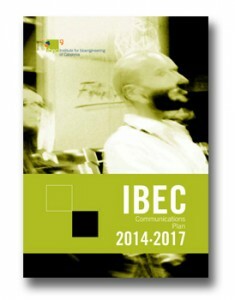 The IBEC Communications Plan forms an important part of the IBEC Strategy and Action Plan 2014-2017. 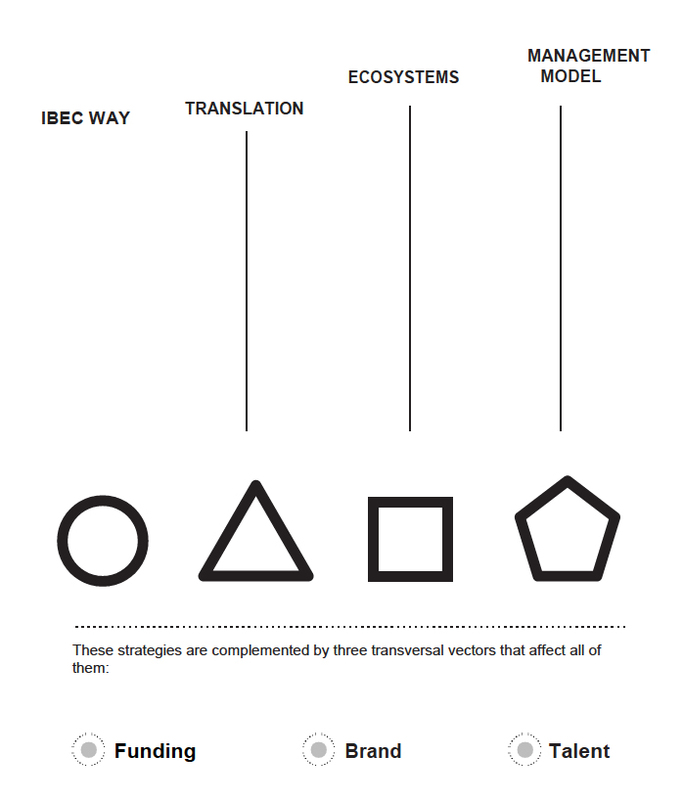 This document proposes a new communications structure and strategy for IBEC, based on clear mission statements for the organization and a derived communications architecture. It proposes tactics to address five institutional objectives to which communications can contribute, and sets out a resourcing plan for the Communications Unit for the period 2014-2017. To generate market demand for any products or services developed. On July 31st 2017 IBEC published its self-assessment report and sent it to the European Commission for evaluation. Please visit the Human Resources Strategy for Researchers page for more information. The Equal Opportunities and Diversity Management Plan is a core part of our IBEC’s HR Strategy for Researchers and its Action Plan, designed according to the principles and responsibilities outlined in the “European Charter for Researchers” and “The code of conduct for Recruitment of Researchers”. Altogether, it represents the spirit of continuous improvement to adopt best practices that promote equality of opportunities and an appropriate management of the diversity we find at IBEC, thus contributing to a positive work environment in which everybody feels respected, appreciated, and in which an inclusive culture is promoted. The current Plan is the result of a working process made by the members of the commission during the last months; the analysis of the current situation keeping in mind the evolution of quantitative and qualitative indicators; the results of the survey carried out at the end of 2016; and the experience gained with the first Plan. Our ambitious Plan includes 34 actions to be implemented in the next 3 years.